Kids can be happy after divorce. Here’s how parents make it happen. You may find the article below of interest. Kids can be happy after divorce. Here’s how parents make it happen. USA Today, Eva Dwight, BA, HEd, ACC, CPDT, Published October 23, 2018. No one gets married expecting to get divorced. In other words: find a way to focus on your child’s well-being despite the trials of divorce. When we help kids develop these skills in their everyday lives, they’ll be better able to handle especially challenging circumstances, such as divorce. In addition to the 7 C’s, Ginsburg, founder of the Center for Parent and Teen Communication, offers a trio of tips, which can provide a big picture focus when parents feel themselves getting mired in the pain of the moment. Keeping constant as many things as possible will give kids a greater sense of control and confidence in their ability to handle the monumental changes brought by divorce. In supporting your ex, you’re actually supporting your child. By stating, with confidence, that they are capable of managing this conflict with the other parent. You can coach them through possible problem solving conversations they might want to have with their other parent, help them clarify any points they want to make or compromises they want to offer, but insist that the conversation needs to be between them and the other parent. 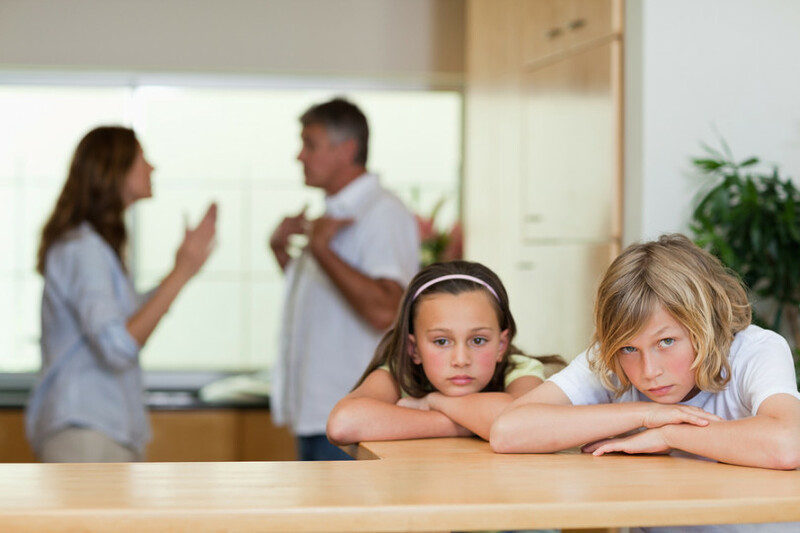 It’s easy for children to blame themselves for their parents’ break up and wonder if they could have avoided this painful experience if they had somehow been “better.” Be ready for tough questions and answer them clearly and honestly. Above all, reassure your children they will remain safe and loved. At the same time, filter your answers through a selective need-to-know lens. Children are not adults, and they’re not experienced in the nuances of adult relationships. Hearing all the negative details about what went wrong can make them feel caught in the middle and pressured to take sides. Those feelings destroy the sense of connection that it is vitally important for them to have with both parents. Ginsburg encourages parents to get creative in how they spend time with children, especially when long distance prevents regular in-person contact. He relates the story of a dad who was separated from his children by 2,000 miles but maintained connection by planning to watch a movie or sports game, or read a book at the same time. When they were finished, they could have long conversations about the experience. What if your ex is an absent parent? That only makes a tough situation even harder. It’s not fair but it puts an even bigger load on you to make sure that your child is growing those 7 C’s. While it may be tempting to express displeasure with your ex around your children, this puts your child in the uncomfortable position of feeling like they need to defend the other parent, which means that they’re not free to express their own hurt and anger. Staying neutral as you listen to them express how they feel gives you more opportunities to teach them skills for coping with their own tough emotions. Previous PostIs This Your First Holiday Season After Divorce? Next PostTrial Court had no legal basis for prohibiting mother from moving. Sumner County General Sessions Court Reversed. Marital or Separate Property? Shelby County Circuit Court Reversed. If My Parents are Divorced, Is My Marriage Doomed to Fail? The information on this website is for general purposes. Nothing on this site should be taken as legal advice for any individual case or situation. This information is not intended to create, and receipt or viewing does not constitute, an attorney-client relationship. Our firm practices bankruptcy law and is considered a debt relief agency by federal law. We help people file for bankruptcy relief under the Bankruptcy Code. We serve clients in Rutherford County, Davidson County, Williamson County, Maury County, Cannon County, Wilson County, Bedford County and Coffee County.